However, in addition to giving you access to online multiplayer, PlayStation Plus also gives gamers access to free games each month. And if you’re already a subscriber, your subscription will roll over to the PS4 when it launches later this year. A single PlayStation Plus subscription can be used across the PS3, PS Vita and PS4. PlayStation Plus currently costs £40 a year, though Sony sometimes discounts the price. The subscription can also be stacked, so you can purchase two 12-month subscriptions and have PS Plus for a 2-year period – something that’s useful to do when the subscription is offered at a discount. 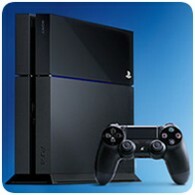 The PS4 will also support cross-game chat – something that fans requested with the PS3, but could not be supported.